Why do leaders invest in working with a coach? Executive coaching focuses entirely on the leader. Rarely do we ever get this type of one-on-one attention. Everything that happens during the coaching process is centered on increasing self-awareness, growth and effectiveness of the leader. The coach supports the leader and holds the leader accountable for action. The coach is often referred to as a trusted advisor. Coaching is a trusting, extremely beneficial relationship. What types of leaders do you coach? We work with leaders all the way from the C-suite to high-potential leaders. We match the coach to the leader’s key objectives. We select assessments that are the best for the individual leader’s goals. Our fees are based on a variety of criteria. We consider the level of the leader being coached, the assessments selected, the time required and other factors outlined in our coaching packages. Proposals are available upon request. What is best: phone coaching or face-to-face coaching? We use both types of coaching very effectively. For leaders who are local, we primarily use face-to-face coaching. We have many clients in different states or around the world where phone coaching or Skype works very nicely. We often use a variety of methods—we stay extremely flexible to meet the needs of our clients. I’ve heard that coaching is for people who have serious work-place problems. Is coaching mostly for individuals who are on a “final warning”? Coaching has evolved a great deal over the past couple of decades. It was once considered a last resort for “fixing” problem people. Today it’s considered a big investment in highly valued professionals—a gift of sorts—to heavily invest in specialized development that few leaders get in an organization. 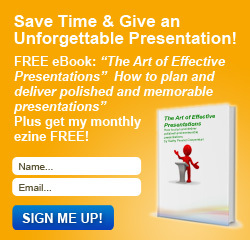 Can I really learn to enjoy giving presentations? I hate it now. Yes! With practice and the right skills and tools, we believe everyone has the potential to become a great speaker . . . and enjoy it in the process! Whether you want to attend a class or get personalized one-to-one presentation skills coaching, we can help transform this experience into a highly satisfying one! Do you offer other services besides coaching and presentation skills? A host of leadership assessments, including one of the best 360 assessments in the world! It has been a pleasure to work with Kathy over the past several months. Her approach to executive coaching is programatic and results-driven. I appreciate the balance of quantitative and qualitative feedback process. She is a great listener and a true partner in my professional and personal development. I highly recommend her as an executive coach.